How To Become A Alabama Drug Free Workplace? 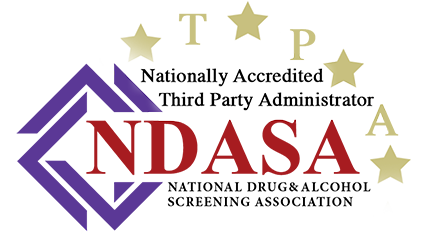 Accredited Drug Testing Inc provides full compliance with Alabama’s Drug Free Workplace Act, for an employer to be certified as a Alabama Drug Free Workplace. To be certified, the business must implement and maintain all requirements of the Alabama Drug Free Workplace law. In addition to providing all of the services needed to comply as a Alabama Drug Free Workplace, Accredited Drug Testing Inc has drug testing centers in all Alabama cities. Employers wishing to be certified as a Alabama Drug Free Workplace must complete an application and submit the appropriate fee to the Alabama Board of Workers Compensation. The board will then review the application along with all required documentation relating to the drug free workplace program and upon satisfaction that all the requirements of the Alabama Drug Free Workplace program have been met the board will issue certification. Accredited Drug Testing Inc will work with your insurance agent to insure that any available discounts are provided for implementing and properly maintaining a Alabama drug free workplace. The State of Alabama encourages all businesses regardless of size to be a Alabama Drug Free Workplace and compliance with all requirements of the Alabama Drug Free Workplace Program and can provide many benefits for a Alabama employer. In addition, to receiving a discount on workers compensation insurance costs a employer certified as a Alabama Drug Free Workplace may also have a defense in the event of a unemployment compensation claim or employment practices litigation arising from the discharge of an employee who has tested positive and violated the Alabama Drug Free Workplace Law. Alabama companies that qualify as a Alabama Drug Free Workplace can receive a 5% discount on the workers compensation insurance policy, if the employer has properly implemented and continuously maintains all of the regulatory requirements of the Alabama Drug Free Workplace Program. This premium discount will be applied to the insured’s policy pro rata as of the date the employer receives certification and will continue for a period not to exceed four years. Certification is required for each of the four years. Thereafter, any premium discount is determined from the experience rating plan of the employer, or by the State Insurance Commissioner if the employer is not experience rated. (a) If an employer implements a drug-free workplace program substantially in accordance with this article, the employer shall qualify for certification for a five percent premium discount under the employer’s workers’ compensation insurance policy. (b) For each policy of workers’ compensation insurance issued or renewed in the state on and after July 1, 1996, there shall be granted by the insurer a five percent reduction in the premium for the policy if the insured has been certified by the Department of Industrial Relations, Workers’ Compensation Division, as having a drug-free workplace program which complies with the requirements of this article and has notified its insurer in writing of the certification. (a) One time only, prior to testing, all employees and job applicants for employment shall be given a notice of testing. In addition, all employees shall be given a written policy statement from the employer which contains all of the following: (1) A general statement of the employer’s policy on employee substance abuse which shall identify: a. The types of testing an employee or job applicant may be required to submit to, including reasonable suspicion or other basis used to determine when the testing will be required. b. The actions the employer may take against an employee or job applicant on the basis of a positive confirmed test result. (2) A statement advising an employee or job applicant of the existence of this article. (3) A general statement concerning confidentiality. (4) The consequences of refusing to submit to a drug test. (5) A statement advising an employee of the Employee Assistance Program, if the employer offers the program, or advising the employee of the employer’s resource file of assistance programs and other persons, entities, or organizations designed, to assist employees with personal or behavioral problems. (6) A statement that an employee or job applicant who receives a positive confirmed test result may contest or explain the result to the employer within five working days after written notification of the positive test result. 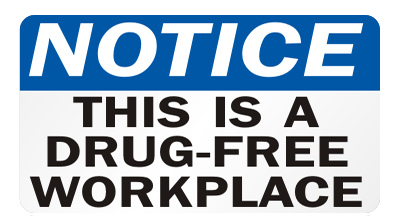 (7) A statement informing an employee of the provisions of the federal Drug-Free Workplace Act, if applicable to the employer. (b) An employer not having a substance abuse testing program in effect on July 1, 1996, shall ensure that at least 60 days elapse between a general one-time notice to all employees that a substance abuse testing program is being implemented and the beginning of the actual testing. An employer having a substance abuse testing program in place prior to July 1, 1996, shall not be required to provide a 60-day notice period. The Alabama Drug Free Workplace statute requires an employer to conduct pre-employment, reasonable suspicion and post-accident drug testing, random drug testing is optional. Accredited Drug Testing Inc offers a complete Alabama Drug Free Workplace program which includes compliance with all requirements and the scheduling of all required drug and alcohol tests at a drug testing center located close to your home or office. 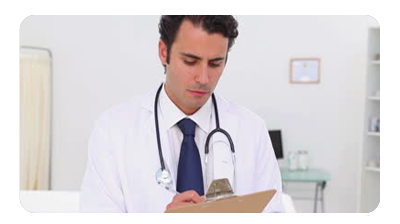 Accredited Drug Testing Inc has drug testing centers in all cities throughout the State of Alabama and scheduling a drug test is fast and easy. To schedule a drug test call (800)221-4291.